by DPCW, international peace law~! Eyes & Ears for Peace News~! Hands & Feet for Action~! It's time to go beyond a traditional network and build a true peace community. This year at the 2018 HWPL World Peace Summit: 4th Anniversary of the WARP Summit thousands of leaders and citizens form around the global will gather for 3 days of intensive discussion, networking, and celebration in Republic of Korea with the great determination of creation a peaceful world together. 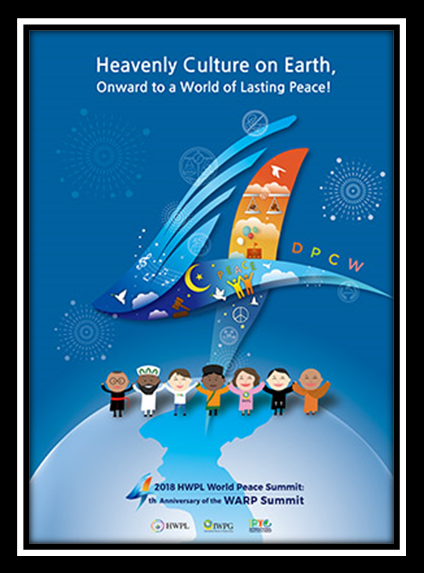 Under the theme of "Collaboration for Peace Development Building a Peace Community through the DPCW" the peace summit will advance concrete action plans in line with the core principles of the Declaration of Peace and Cessation of War(DPCW) which embody settling the sustainable environment for peace.